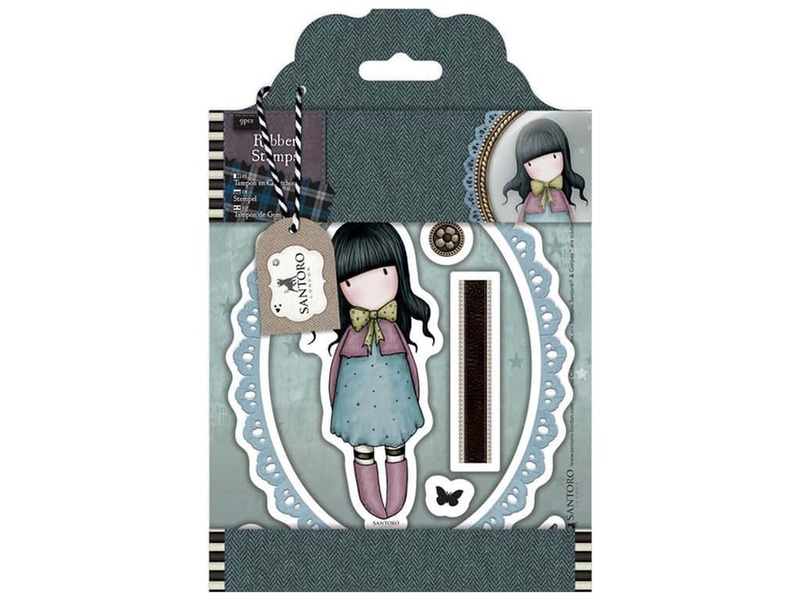 Description: Santoro Gorjuss Tweed Waiting Collectable Rubber Stamp features 9 rubber stamps with designs of an oval frame, a butterfly, a strip of ribbon, a girl standing, caption "Gorjuss Little Things" and more. Apply to a clear block to use, remove and clean with soap and water when done. Largest measures approximately 4 3/4 x 5 1/2 inch.